Here is a brief history of how our church began. Original site for the old Pineland Church was located on West Farm Road (CR-41) approximately 3 miles from its present location. The church trustees that handled the business transactions and signing of the deed were Milton Gillyard, Isaac Kemp, George Washington, Hamp and Ann Waller. The two story wooden structure was probably built around the turn of the 20th century on a hill that was easily seen by the surrounding community. 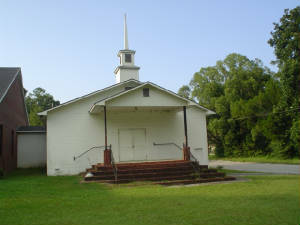 The Old Pineland Church also served as a community school during the week. All grades were held together in one area and when someone needed help, either the teacher or an older advanced student would give whatever assistance was needed. School classes were held from approximately 1914 to 1954. 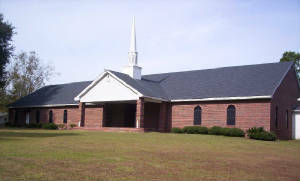 On February 23, 1960 land (2 lots) was purchased for the location of the second Pineland Church building from J. H. Plant in the Plant Subdivision area on County Camp Road. The Trustees that signed on behalf of the Church were Deacon Sam McGhee, Deacon Julius Frazier and Deacon Eddie Haynes. On September 15, 1965 a mortgage for the Church in the amount of $3, 320.00 was secured and signed by the following Trustees and Deacons. The Church was granted 501 C3 status in the late 1990’s under the current leadership of Rev. Charlie Barfield. After months of planning and fundraising work was started on the present 7,000 square foot sanctuary. The temple was completed and dedicated on the first Sunday of October in 2000. What a beautiful way to start the Millennium!